Know when to get rid of your old tires. Know the answer to how long do tires last in miles? How Long Do Tires Last In Miles? Explained. Across the globe, drivers overlook the true value of good tires. Tires are responsible for stability, handling, traction, and even fuel efficiency. As a matter of fact, properly inflated tires make a huge difference for drivers. As a result, you need to make sure that your tires are properly rotated. Furthermore, you must stay on top of buying new tires when necessary. However, not everyone is an automotive expert. So here is some helpful information on how long do tires last in miles? The National Highway Traffic Safety Administration releases information and guidelines on the open road. They have no guidelines for the aging of tires. Instead, they encourage customers to look into the information from tire manufacturers. There are certainly visible signs and symptoms of bad tires. However, bad tires can creep up on drivers. Be sure to pay attention to any differences in your driving experience. If you notice any weird deformities, buy new tires as soon as possible. However, sometimes customers need some help in knowing just how long do tires last in miles? Read the information below to learn all about the average lifespan of tires. Then, use it to get new tires or save yourself some money today! According to data from Edmunds.com, manufacturers state that tires can last nearly six years. However, this is only done through proper rotations and maintenance. If not, then tire simply do not last very long. Always monitor your mileage to properly rotate tires. Then enjoy longer lasting tires and spending less money all at the same time. 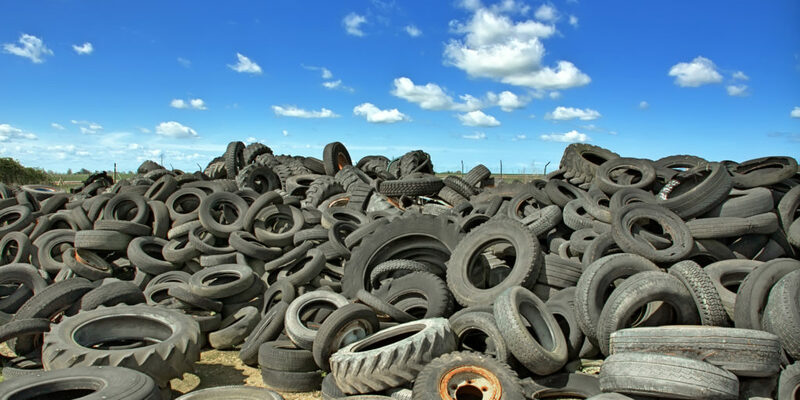 Consumer Reports states that tires can last anywhere between 25,000 to 30,000 miles. Again, proper rotations can potentially expand this life beyond 30,000 miles. Take time every day to inspect your tires and check the tire pressure. Any loss of tire pressure can indicate cracked rims or rips in the tire. Replace your tires if you need to for your own safety! According to information from Cars.com, new tires on new vehicles last nearly 50,000 miles. But, remember that this is just an average. Averages help provide a range of expectations for customers. However, it is only an average. So your tires could potentially last longer than this number. On the other hand, your tires may not last longer than this number if they are used. As a result, constant tire monitoring is key for healthy tires! The biggest factor for a tire lifespan involves how you drive and where you drive. Paved roads are normally safer surfaces with less debris. However, off-road driving brings about potential hazards. Furthermore, the elements can really wear and tear on tires as well. Snowy conditions and excessive heat do real damage to tires. Therefore, the answer to how long do tires last in miles goes beyond just the numbers involved. What Affects How Long Tires Last? Michelin is a premier tire manufacturer across the globe. Their information states that there are a number of dangerous hazards for tires. This includes using tires wrong, not properly maintaining hazards, how you drive, the climate, road conditions, and physical factors as well. Therefore, customers must know that there are so many exterior influences. Taking a vehicle off road with cheap mud tires will have a different affect on the way they wear. It is not easy determining what is more serious in terms of tire hazards. Potholes, curbs, and sharp objects are some of the more dangerous on-road risks. These physical dangers can poke and flatten tires in an instant. However, climate and age are also two huge factors for customers to keep an eye on. But, how you drive also alters and can potentially damage tires as well! If you know how long tires last in miles then you can make proper replacements. There is nothing more dangerous than driving with underinflated tires. Furthermore, catching a flat is a rough situation to be in. Flat tires can ruin your workday or potentially cancel your date. As a result, proper tire maintenance is essential. But, you cannot maintain tires without the proper tire information. So learn how long do tires last in miles and then monitor your tire mileage every single week! If you monitor mileage, you can always replace your tires at the right time. A car is made of moving parts. Over time, these moving parts fall apart and must be replaced. Do the right thing and take care of you’re tires!